It’s something you’re always advised against. Having two processors on a single transmission chain can result in the two of them “fighting” if you don’t know exactly what you’re doing. 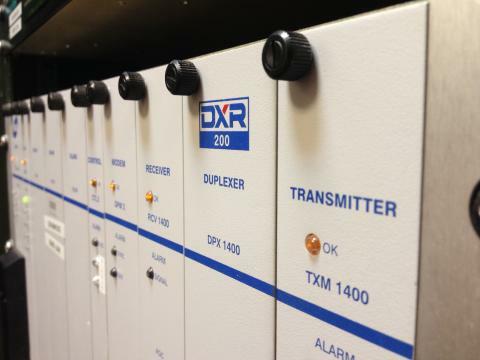 That said, even one or two commercial stations have used two processors back-to-back in their DAB chain. They don’t any more but it’s not as unusual as you’d expect. But why am I talking about it here? Well, we’ve got a community station on the South Coast that has been using a Audessence Procoder-2 since they launched. It’s capable enough at the job it’s designed to do: be a relatively low cost, back to basics FM processor and stereo encoder. While it’s served us well, it’s a bit limited in what it can do. The AGC and compression is single band. Also, EQ is a bit odd. It claims to be parametric but only provides three controls: centre frequency, Q and level. That suggests bell curve to me but I’ve not really had the chance to check it out. However, it does have one useful feature: a transparent mode. You can stick a multiband compressor in front of it and use it as a stereo encoder and final limiter. That’s very handy. That’s a Barix Exstreamer on the top left providing the program feed. It’s plumbed into the 5.8GHz radio link which can cope over 100 miles line-of-sight. We’ve got it going a third of a mile. 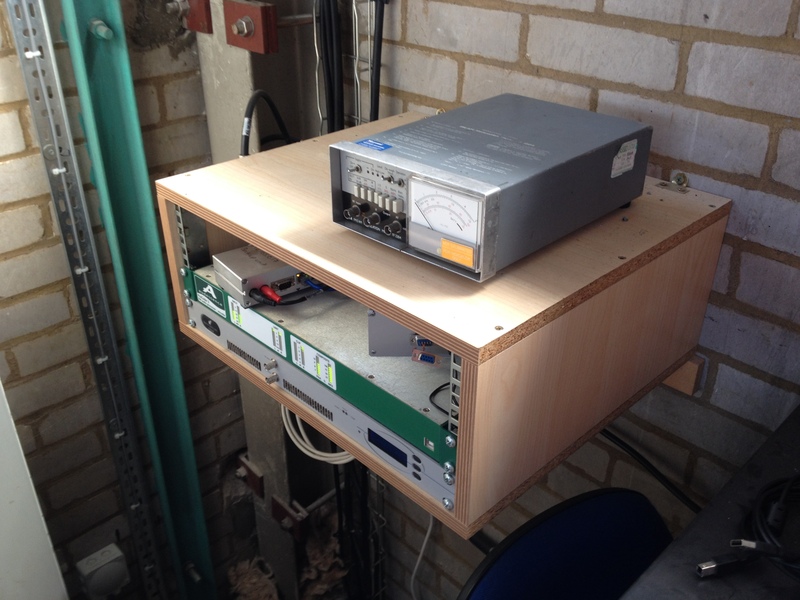 Top right is the Pira RDS encoder in a home-made wooden box. All sitting on top of the Procoder 2 and 50W BW FM exciter. Currently pumping out 37W for 25W ERP. 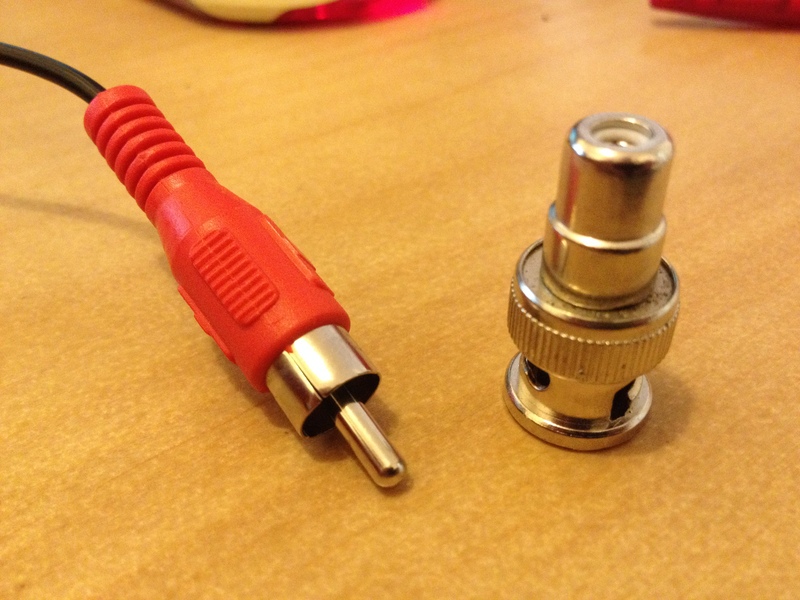 Yeah, that’s a cheap-‘n’-chearful RCA/phono lead with some BNC adapters on the end. The whole thing reminded me of RSLs when I first saw it. The most alarming bit being the backup audio source: the Exstreamer’s MP3 capability. It works for the link going down but doesn’t switch on silence (it might just be misconfigured). Thankfully, a proper backup silence detector/audio source is now on the “to buy” list of the station in question. Anyway, we’ve now got the Procoder in “transparent” mode and upped the input level. What are we going to stick in front of it? Well, it’s a bit of software. No, really. The station’s got no real budget so we’ve been experimenting with Stereo Tool. A fully fledged audio processor for Window, Mac and Linux. Surprisingly for a software solution, it can generate MPX (with a good enough sound card), de-clip the input and offers composite clipping. While most of these features cost money (not huge sums), you can get a good sound out of it with only the free bits turned on. (That’s not stopping me from considering a donation anyway). And that’s what we’ve been experimenting with. We’re using the King’s Fire 2 preset but backed off a bit with a bit more top and a little less band 2 (low-mid bass). So far we sound a lot punchier and clearer than we ever did in the past. In fact, after spending next to no money, we’re sounding as good as anyone else on the dial. As for deviation, the meter used to live in the 50s and 60s. We’re now peaking regularly in the 70s (kHz). That’s done wonders for our percieved coverage area. All wihout turning the wick up. How much top end have you ever been able to get out of your Procoder? We are running ours also in “transparent” mode and it starts to roll off around 4K. It was actually quite a while ago I did the works despite the date on the article (it’s from when the site moved platform). From memory, I ended up having to put a lot more top than I really wanted in Stereo Tools. There’s also some HF limiter settings I remember having to tweak to make it sound brighter. While I ended up flattening the parametric EQ in the end, it might be worth ramping it up at the top end with a wide/large Q setting.